Mae Lynn Reyes-Rodríguez, PhD is an Assistant Professor in the Department of Psychiatry and adjunct faculty with the Center for Latino Health Clinic (CELAH) at UNC-Chapel Hill. She completed her studies at the University of Puerto Rico, Rio Piedras Campus (UPR-Río Piedras). Her M.A. and Ph.D. are in Academic-Research Psychology with a second specialization in Clinical Psychology at UPR-Río Piedras. In 2003, she was awarded with a post-doctoral fellowship from the National Institute of Mental Health (NIMH) to culturally adapt evidence-based treatment for bulimia nervosa in Puerto Rico. 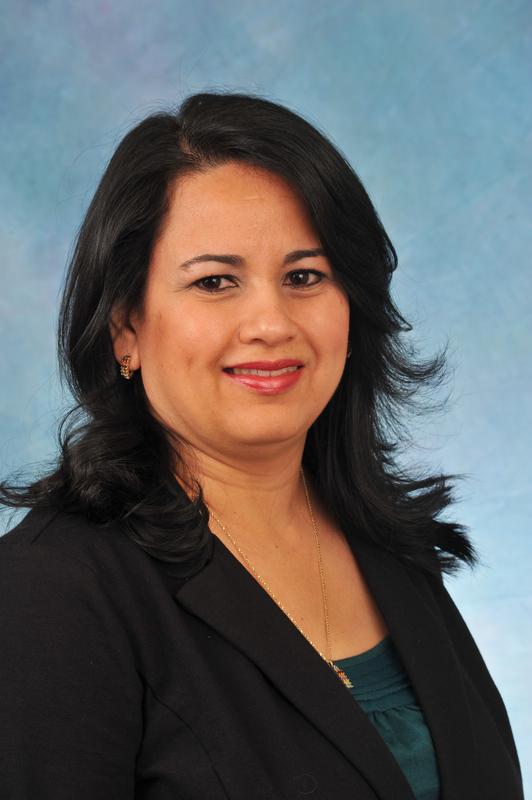 Dr. Reyes-Rodríguez has built strong ties throughout North Carolina with the Latino community since 2008, when she was awarded a Diversity Supplement grant funded by NIMH to adapt eating disorders treatment for Latinos in the U.S. The focus of her research is on the development of culturally appropriate interventions for Latinas with eating disorders, with a specific emphasis on the developmentally and culturally appropriate incorporation of family members into treatment. Dr. Reyes-Rodríguez is currently the Principal Investigator of the PAS Project – Promoviendo una Alimentación Saludable (Promoting Healthy Eating Patterns). The PAS Project comprises a series of investigations in order to tailor the development of a culturally appropriate family-based adjunct intervention to CBT-BN for adult Latina patients with eating disorders. In 2014, she was recipient of the UNC-IBM Junior Faculty Development Award with the Project “Fotonovelas: Raising Eating Disorders Awareness among Latinos/as”. Dr. Reyes-Rodríguez also serves as a Co-Chair of the Transcultural Special Interest Group from the Academy for Eating Disorders (AED) and is member of the Board of the Hispano-Latino-American Chapter of the AED. She is also collaborating with La Noticia, which is one of North Carolina’s largest Hispanic newspapers in NC, to educate Latinos/as about emotions and mental health with a weekly column. Dr. Reyes-Rodríguez has numerous peer reviewed scientific articles and is co-author of various book chapters focusing on eating disorders and comorbid conditions in diverse populations.